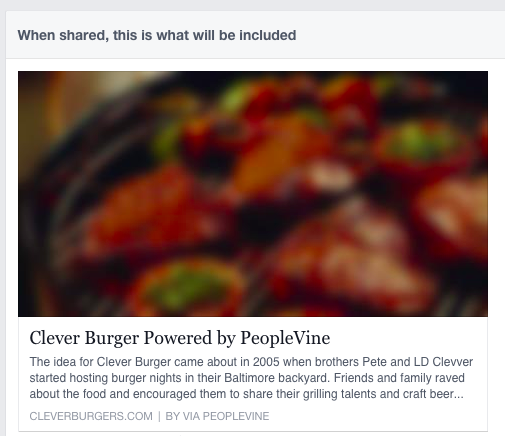 When sharing content created with PeopleVine to Facebook, you may want to replace the default thumbnail image. You can find out which image, if any, Facebook will pull for your link by testing the URL here. Override the image (or lack thereof) that Facebook uses by setting the og:image tag.